Year Two students on the BA (Hons) Fashion Design course at Nottingham Trent University have been challenged by alumna Linda Leaver to design adaptable clothing collections for fashion conscious physically disabled people. Based on Linda's personal experience of struggling to find suitable clothing after spending time in a wheelchair following a skiing accident, students were set the brief to explore the challenges faced by physically disabled individuals, and to create a range of practical garments without compromising style. 40 students undertook thorough research to help inform their designs, completing a sketchbook of research including visual imagery, design development and potential fabrics. The cohort was then shortlisted to 10 students, who each presented their ideas to Linda in May. Andra Nistor was placed second and awarded £3,500 for her collection, and Amelia Hessian placed third, winning £2,500 for her designs. Andra said: "Being awarded second place in this competition was completely unexpected. I am really grateful for this opportunity and I think that everyone saw it as a real challenge. It is something that everyone who entered the competition can be proud of adding to their portfolios." 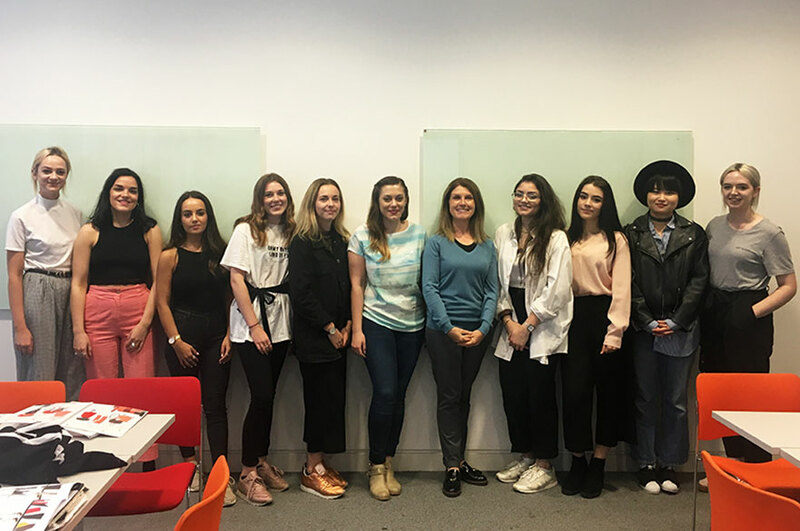 Dawn Eyre, Senior Lecturer in Fashion Design and the academic involved in the project, said: “This is the second year that we have ran this project, and the students have thoroughly enjoyed the challenge of designing for the physically disabled. I would like to thank Linda for the ongoing support and the kind scholarship awards over the past two years."